His smile is a fixture at audio gatherings around the world. 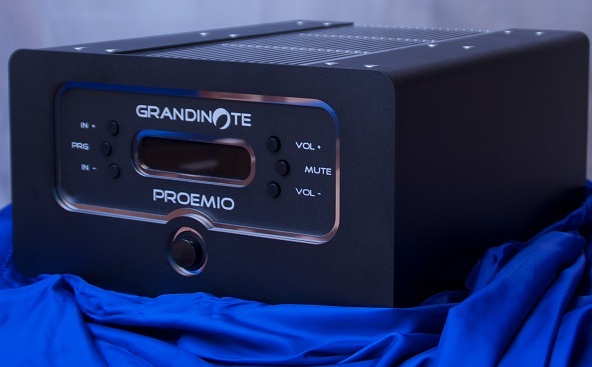 So what does the founder and engineer of Grandinote Audio have to be so happy about? Could it be that he has discovered a new type of circuit for use in solid state electronics? And that in so doing he has created amps with tremendous damping power (regardless of wattage) with 'all the best attributes of tubes and solid state'...okay, that's an oft used and tired phrase, but not when you actually have done it, and Max has done it. Or perhaps it's due to the fact that in 45 years of reviewing equipment, Audio (Germany) has given out exactly (3) 140 point, (140 being the top score)...3 perfect scores in 45 years. The last one being to The Grandinote Demone Mono Blocks. Don't worry the same tech applies to his entry level integrateds and his top offerings. Truly, you have to hear these electronics. Something here has not been done before, and the sound is as real as we've heard. There are 3 Line stages, 2 phono stages, and 2 dac/streamers-so you can have faultless Grandinote Sound right to your precious speakers. 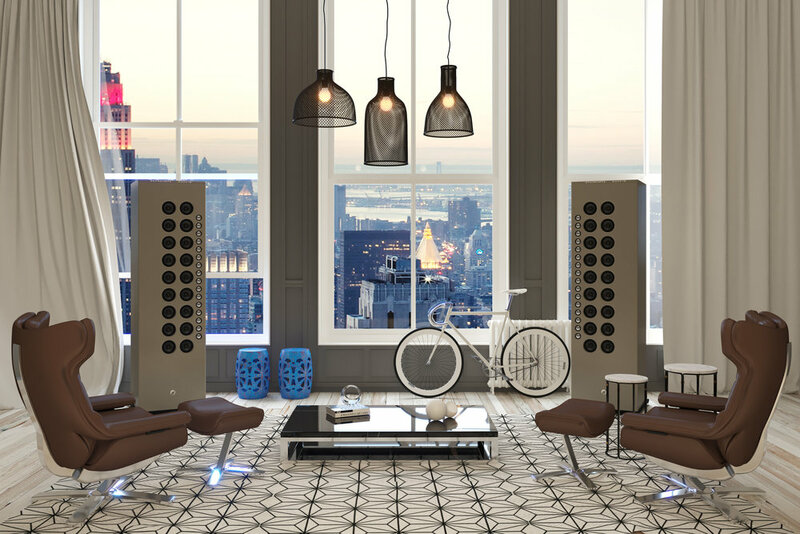 Here are the wonderful Mach series of speakers!! With tremendous sensitivity and nuance, your world is now of the same beautiful peace. 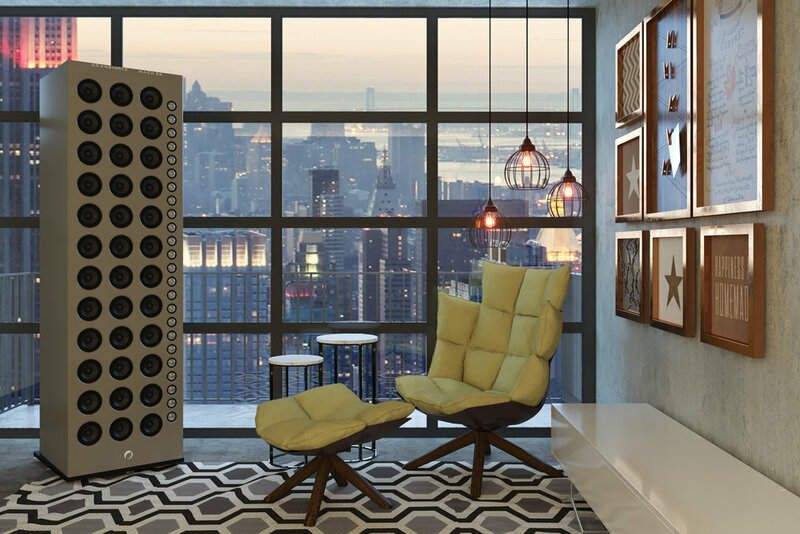 'If I had visited AXPONA as a consumer rather than as press, I would have spent an hour luxuriating in the sound of the Goerner Audio room. Reinhard Goerner, who got into this business after he found himself consumed by the sound of the Beethoven Violin Concerto that he heard and learned to sing from memory at age 8, assembled an absolutely beautiful-sounding system. At its heart were the Italian Grandinote Shinai dual-mono integrated amplifier ($16,000), whose unique, no feedback circuit topology outputs 37 watts/channel in pure class-A; brand new Grandinote Volta music server ($12,000); Audio Physic Avantera Plus+ loudspeakers ($28,000/pair); superb full-range and ultimately transparent Nordost Valhalla 2 cabling; and Creaktiv Midi Reference audio rack ($5500). Playing the piano version of Beethoven's Violin Concerto—yes, there is such a thing, arranged by Beethoven— Goerner invited me to sit in the sweet spot. Given that there was no room treatment, and all reflective surfaces were uncovered, the speakers were extremely toed in to minimize the effect of first-order wall reflections. The by-product of this was a huge, enveloping soundstage. But beyond that, the sheer musicality of the sound, just a bit toned down on top but very clear and ultimately seductive in the midrange, was so, so beautiful. Switching to M•A Recordings' LP of Sera una noche, which we heard courtesy of a Funk Vector V turntable ($2595) with Funk FX-III 9" tonearm ($2695) and London Jubilee phono cartridge ($3000) and the Grandinote Celio phono stage ($8750), all I could do was marvel at the gorgeous midrange and really nice top. Switching to a different track from the same recording, this time in 176.4/24 file format, I was entranced by the fabulous depth of the presentation. This system was a triumph. I sure hope I encounter Grandinote electronics again in Munich.' Contact us for more information.